Justin is a Senior Research Fellow at the Centre for Charity Effectiveness, Cass Business School. He was previously Chief Executive of Volunteering England, Director of the Institute for Volunteering Research and Executive Director of Volunteering at NCVO. He has over 20 years researching and leading in the volunteering movement and has advised the UK Government and the United Nations on the development of volunteering policy. He wrote the volunteering strategy for the London 2012 Olympic and Paralympic Games and has published numerous articles and books on volunteering and the voluntary sector. 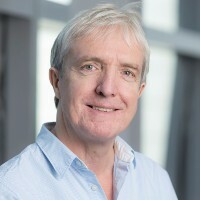 He is a member of the awards committee for the Queen’s Award for Voluntary Service and has been an advisor to the Queen’s Anniversary Prizes for Higher and Further Education. He served on the Council of the Economic and Social Research Council from 2012-2015. He is a trustee of the Watford FC Community Trust and an advisor to the Mayor of London's Olympic-legacy volunteering programme. He has a First Class Honours degree in Economic and Social History and a PhD on the history of post-war industrial relations. In his early career he was speech writer to the Rt Hon Sir James Callaghan MP. In 2011 he was awarded the CBE in the Queen’s Birthday Honours in recognition of his work on behalf of volunteering and the voluntary sector. His areas of research interest include the management and leadership of volunteers and the history of voluntary action. He is currently writing a history of the National Council of Voluntary Organisations to mark its centenary in 2019. Smith, J.D. (2019). 100 Years of NCVO and Voluntary Action Idealists and Realists. Palgrave Macmillan. ISBN 978-3-030-02773-5. Smith, J.D. and Gay, P. (2005). Active Ageing In Active Communities Volunteering And The Transition To Retirement. Policy Press. ISBN 978-1-86134-585-1. Smith, J.D., Rochester, C. and Hedley, R. (1995). An Introduction to the Voluntary Sector. Psychology Press. ISBN 978-0-415-09922-6. Davis-Smith, (1991). The Attlee and Churchill Administrations and Industrial Unrest 1945-55: A Study in Consensus. Continuum International Publishing. ISBN 978-0-86187-101-8. Davis-Smith, and Deakin, N. (2011). Labour, charity and voluntary action:the myth of hostility. In Hilton, M. and McKay, J. (Eds. ), The Ages of Voluntarism How we got to the Big Society OUP/British Academy. ISBN 978-0-19-726482-9. Davis-Smith, (2005). The Voluntary Tradition: Philanthropy and Self-Help in Britain 1500-1945. In Davis-Smith, J. and Rochester, C. (Eds. ), Introduction to the Voluntary Sector Routledge. ISBN 978-1-134-85810-1. Davis-Smith, (2000). Volunteers - Making a Difference? Voluntary Organisations and Social Policy in Britain Perspectives on Change and Choice Palgrave Macmillan. ISBN 978-0-230-80224-7. Davis-Smith, (1997). Expansion or Withdrawal? The Implications of Contracting for Volunteering. In 6, P. (Ed. ), The Contract Culture in Public Services: Studies from Britain, Europe and the USA Ashgate. Davis-Smith, (1996). Should volunteers be managed? In Billis, D. and Harris, M. (Eds. ), Voluntary Agencies: Challenges of Organisation and Management Macmillan. Davis-Smith, (1989). The Struggle for Control of the Airwaves: The Attlee Governments, the BBC and Industrial Unrest 1945-51. Postwar Britain 1945-64: Themes and Perspectives Pinter. Davis-Smith, Active Participation beyond Employment. In Hirsch, D. (Ed. ), Life After 50: Issues for Policy Research (Transitions after fifty) Joseph Rowntree Foundation. ISBN 1-902633-84-9. Davis-Smith, J. (2006). Regulation and risk . Community Care, (1647), p. 24. Smith, J.D. and Oppenheimer, M. (2005). The Labour Movement and Voluntary Action in the UK and Australia: A Comparative Perspective. Labour History, (88), pp. 105–120. doi:10.2307/27516039 . Smith, J.D. (2004). Civic Service in Western Europe. Nonprofit and Voluntary Sector Quarterly, 33(4_suppl), pp. 64–78. doi:10.1177/0899764004269744 . Knapp, M., Koutsogeorgopoulou, V. and Smith, J.D. (1996). Volunteer Participation in Community Care. Policy & Politics, 24(2), pp. 171–192. doi:10.1332/030557396782107124 . Davis-Smith, (2002). An evaluation of the International Year of Volunteers 2001..
Davis-Smith, (2000). Volunteering and Social Development. United Nations. Davis-Smith, (1997). The 1997 National Survey of Volunteering in the UK. The Institute for Volunteering Research. Davis-Smith, (1995). A new Civic Europe? Volunteering in 10 Countries. The Volunteer Centre UK. Davis-Smith, (1992). Widening Horizons in the Third Age. Carnegie UK Foundation. Davis-Smith, (1991). The 1991 National Survey of Voluntary Activity. The Volunteer Centre UK.